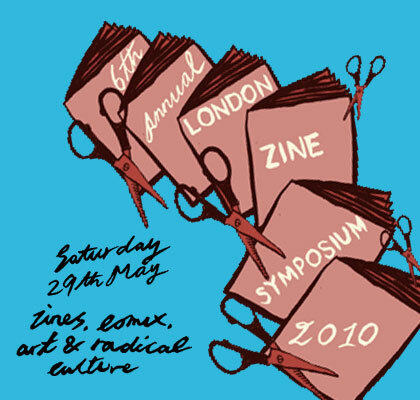 The London Zine Symposium is a annual event where people interested in zines, small-press, comics and/ or radical culture can get together, buy or sell zines and share ideas with each other. The idea is to build a stronger DIY network and community by having people meet up, chat, maybe participate in a workshop or two but definitely have a good time. We will have stall of our prints, zines and ephemera so come down and say hello!